Istanbul has the vibe, but if God asked me where I wanted to live, and then made it so, I’d be hard pressed not to say the Western or Southern coast of Turkey. 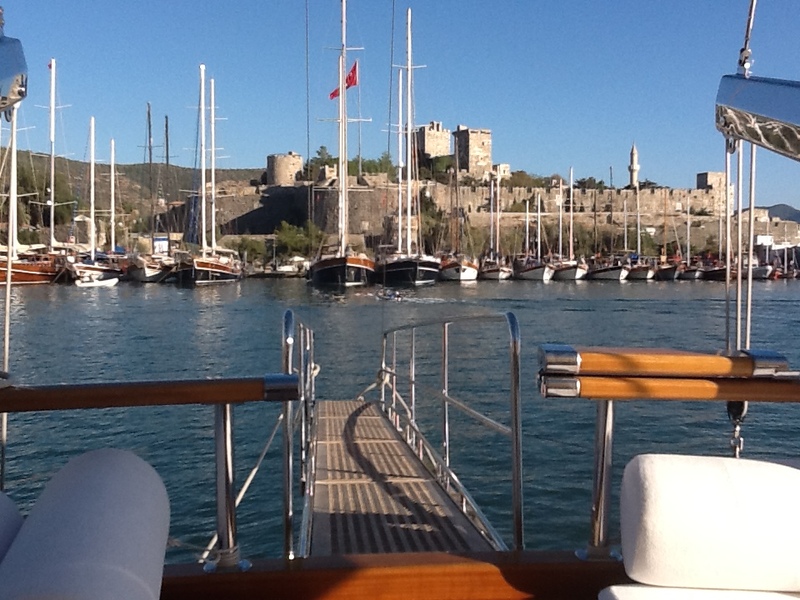 Bodrum is an ancient town right on the Aegean Sea that has a famous Medieval Crusader castle that is now an excellent underwater archeological museum. But perhaps more famous is its summer nightlife with clubs and cafes lining the harbor. There is a quaint old shopping district, where you can buy a lot of crap and some actual quality items if you get reliable recommendations about where to go. Everyone who spends time in Turkey has their favorite rug shop and my mother is no exception. She has one in Istanbul and another in Bodrum. So, yes there was a little purchase made. 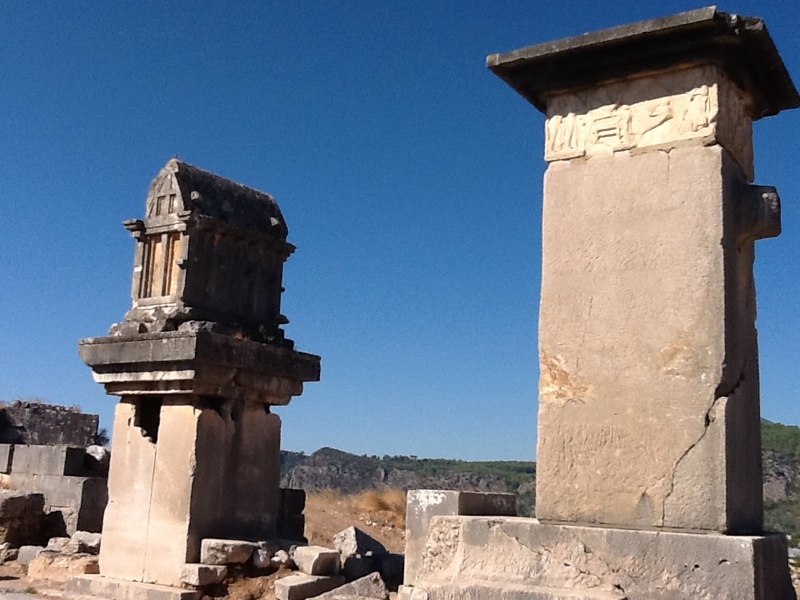 Tucked away in this small, but picturesque town is one of the Seven Wonders of the Ancient World, the Mausoleum of Halicarnassus, which is a tomb for Emperor Mausolus and his wife/sister Artemisia II of Caria (I guess spousal options were limited back then). 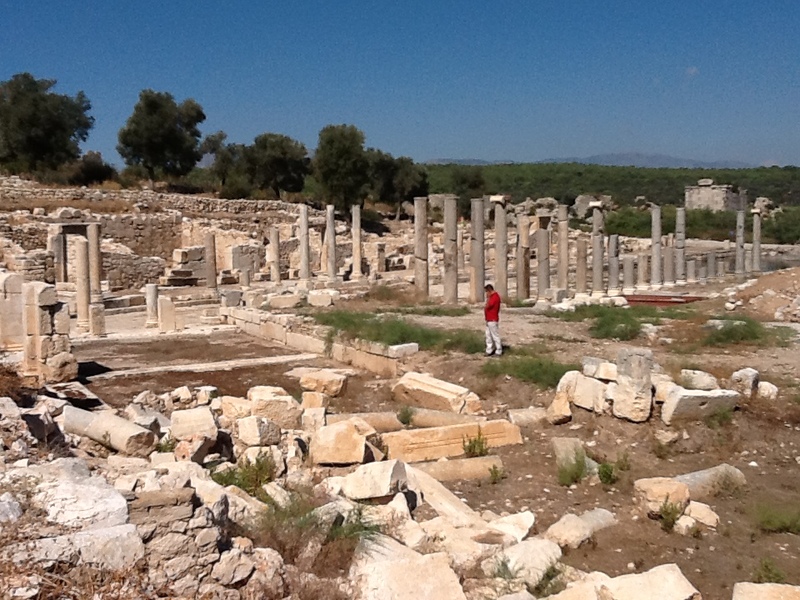 This is just one of maybe 300 active excavation sites in Turkey, which is an archeologists’ dream country. 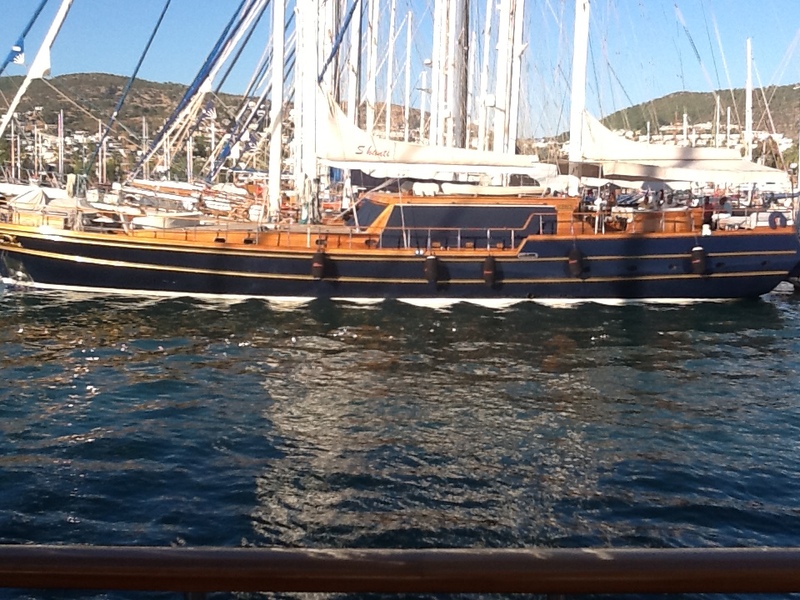 Bodrum is also one of the main ports of departure for the famous Blue Cruises http://www.bluecruise.org. We went out on a luxury 6-bedroom Gullet for an afternoon of eating, cruising, and swimming. The experience was beyond magical! I had visions of renting the yacht for my parents’ 50th wedding anniversary this summer but the $60,000/week price tag made me rethink those plans in a hurry. But the afternoon on the boat was a taste of the good life that I won’t forget. Farther along and into the Mediterranean Sea coast our next stop was the town of Kaş (pronounced kaash). Bigger than Bodrum, Kaş is also a lovely seaside town with an active port. 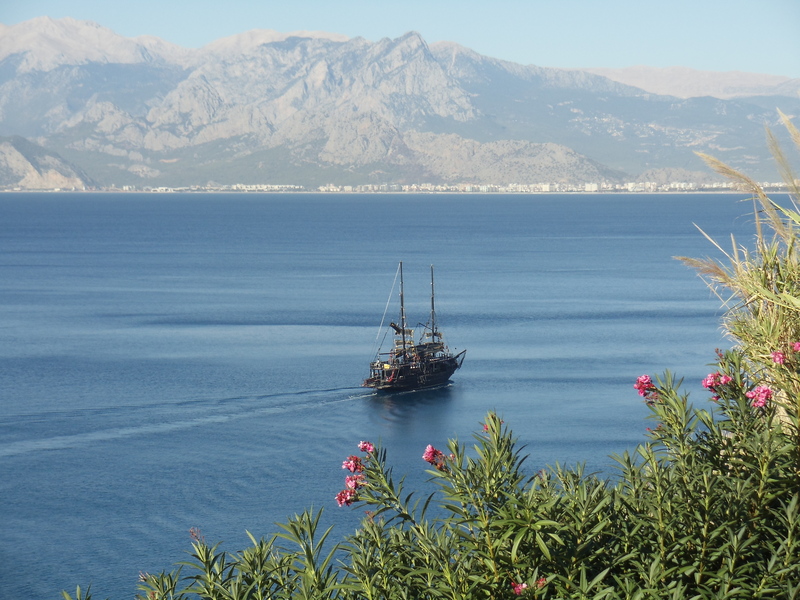 The topography is absolutely stunning with mountains, islands and brilliant blue seas, if you like that kind of thing. I definitely do! Please God, make it so. The old part of the town of Kaş is delightful with a vibrant shopping district and alleyways leading to charming restaurants, Ottoman-style houses and even an ancient burial site or two. 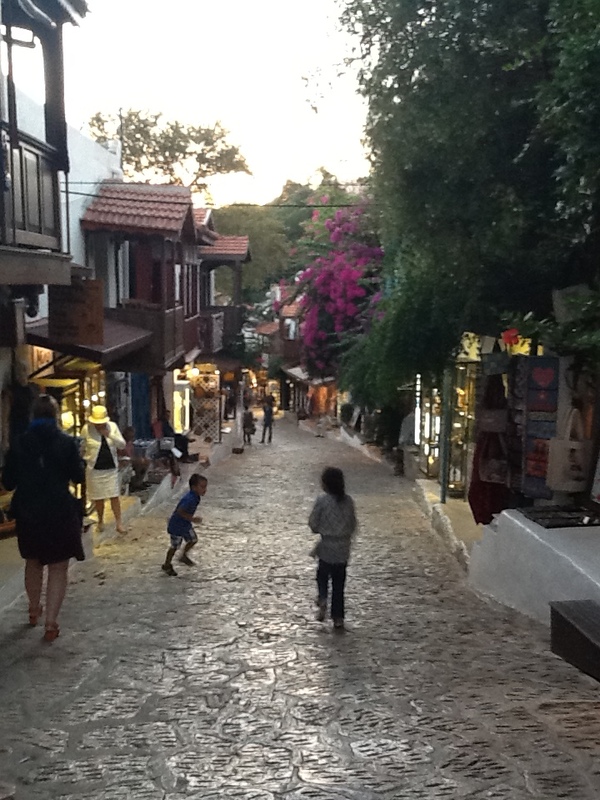 The cobblestone streets were lined with hanging bougainvillea and the best part of all, they are pedestrian only. As with most seaside towns, the old district is directly opposite the harbor, so an afternoon of strolling is a must. 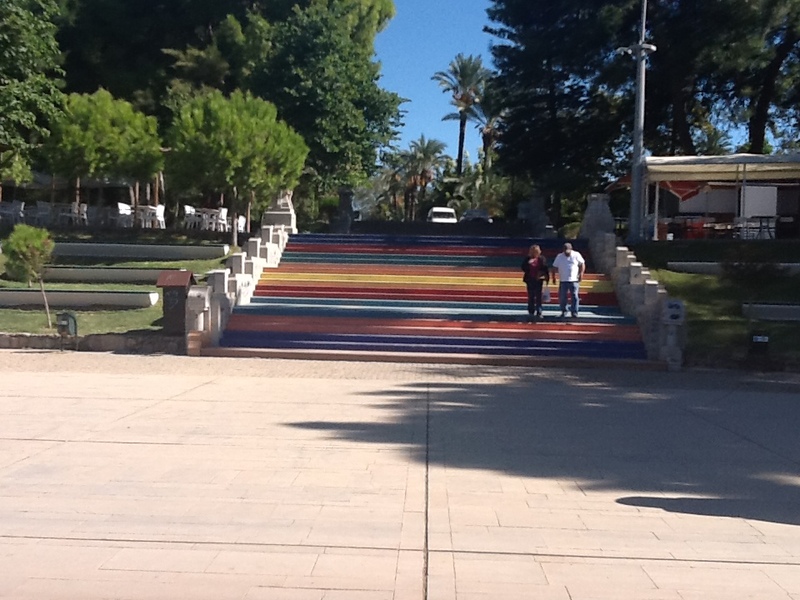 The last stop on the Mediterranean was the gem, Antalya. One of the largest cities in Turkey it is filled with palm and orange trees, new apartment buildings, parks galore, a glorious old town called Kaleiçi. It also has Russians, by the thousands during peak season. The Russians are there for a few reasons, there is a middle class that has disposable income, Turkey is close and relatively inexpensive to get to, has great weather and beaches, the home church of their patron saint, Saint Nicholas is there. Because I had listened to an expert on the way to visit the 4th Century church in Demre I knew that the Russians prayed to the wrong sarcophagus, and therefore wrong set of bones, which had been removed by the Venetians centuries ago, by the way. There is a plain one and an ornate one. Saint Nicholas is/was buried in the plain one but the Russians insist on praying to the fancy one, throwing pieces of prayer paper into the Plexiglass covered niche, kissing the tomb, weeping, singing, all to the wrong tomb. OK whatever. They chose…poorly (couldn’t help the Indiana Jones and the Last Crusade reference). 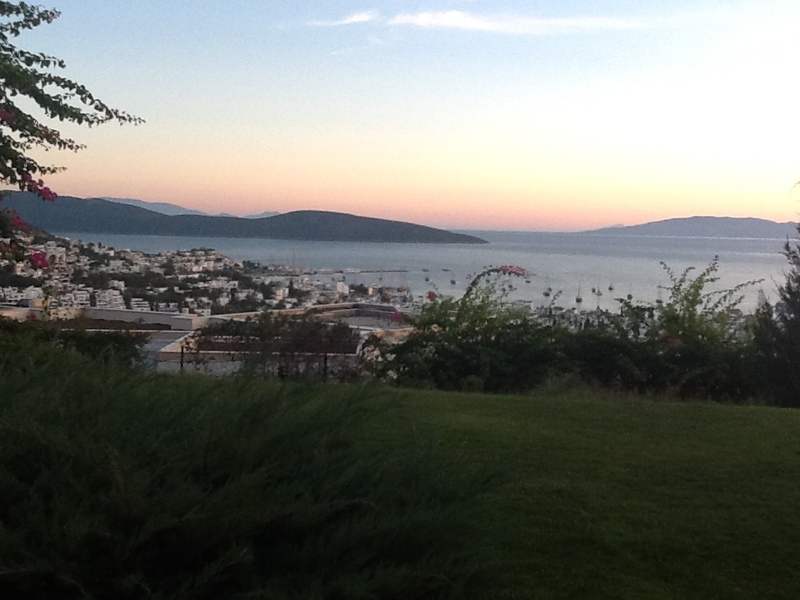 I would say, forget the expensive French Rivera or Amalfi Coast, think Turkey! 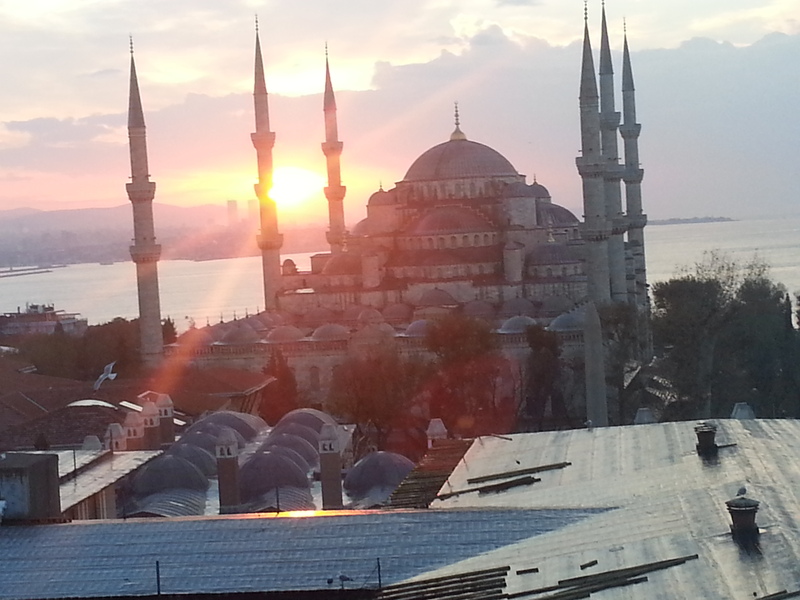 I recently revisited Turkey, the first time in more than 20 years. I have traveled a lot and I would add Turkey to my list of favorite countries. 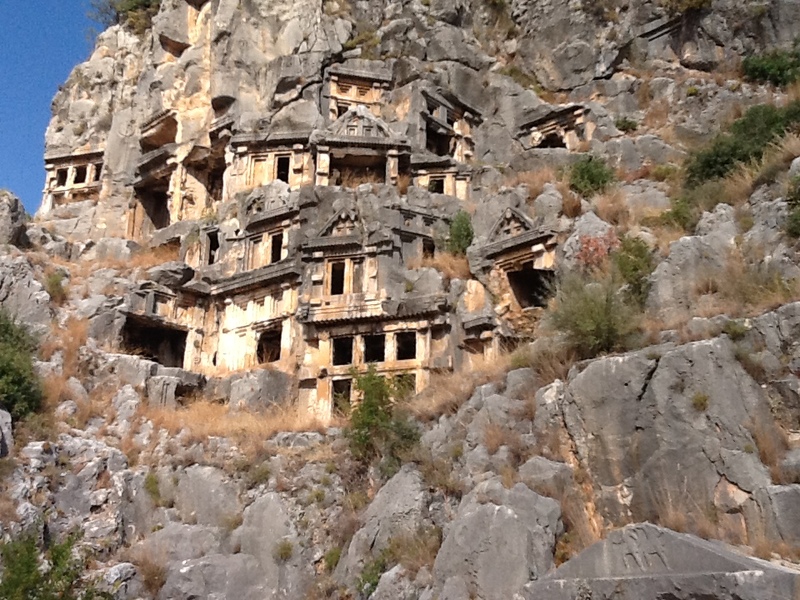 Nowhere, I think, can you find the level of history along with such momentous new construction that you get in Turkey. 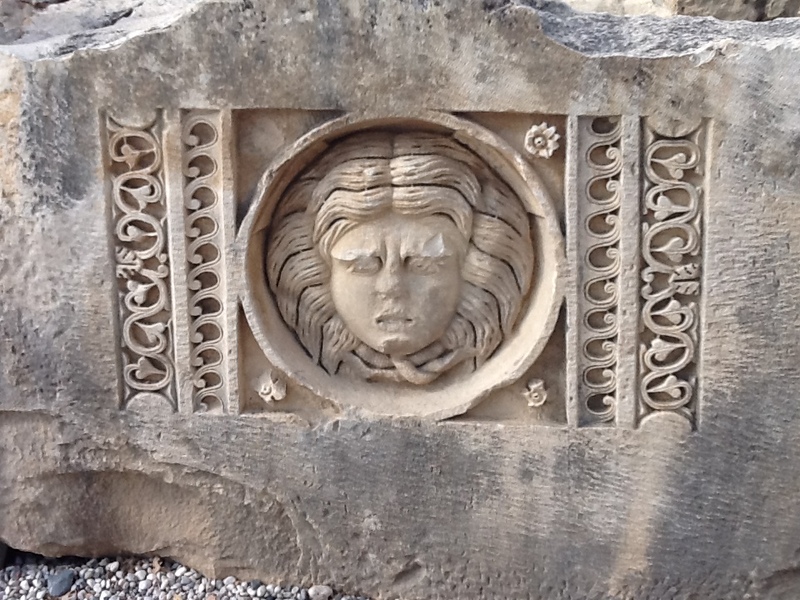 From ancient Hittite ruins to the airline with the most reach on the planet. 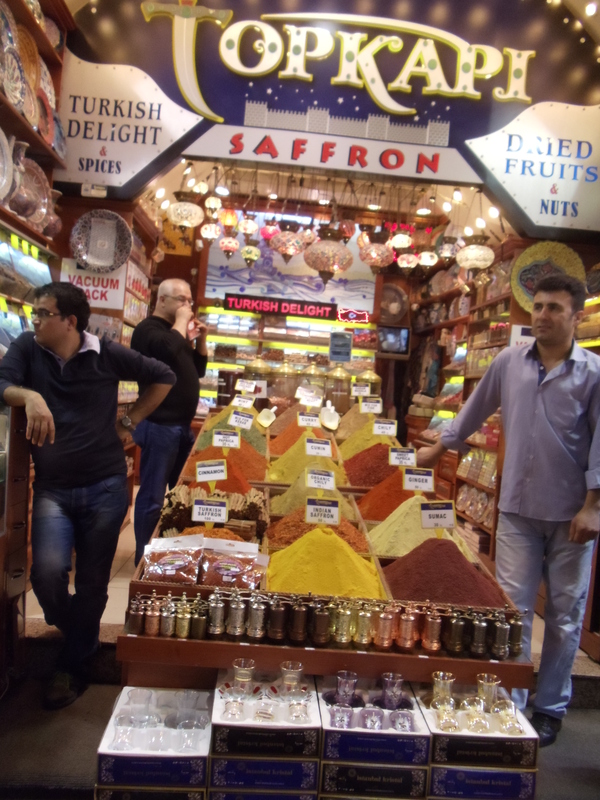 From incredible agriculture that feeds much of Europe to luxury cruises for the lucky few, Turkey can be all things. 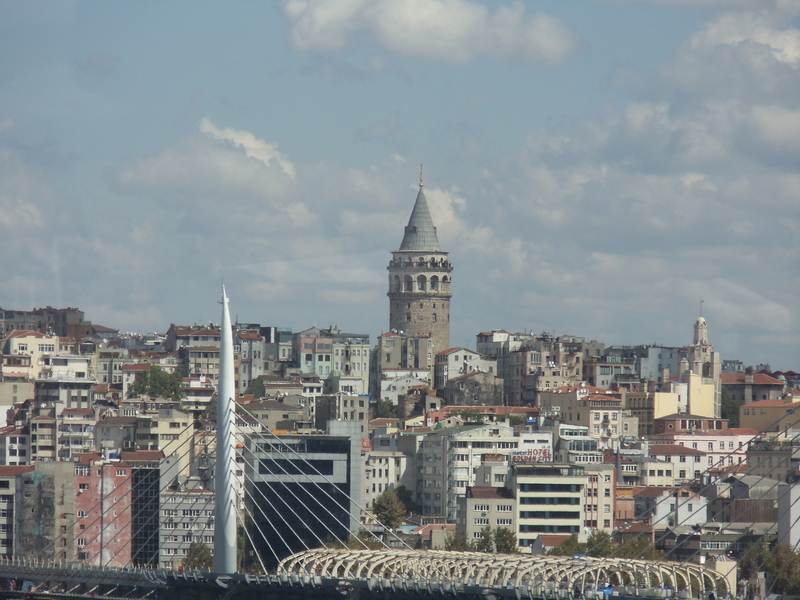 Istanbul is beautiful, old, new, growing, or rather, bursting. I was surprised at how little hassle I got in the touristy areas (some to be sure) and how lovely the Turkish people are. How to describe the history, the impact of God, the desire for power, and the quest for knowledge that Istanbul represents. The architecture of the Hippodrome, a place that saw sport, success and huge amounts of blood covers centuries of ancient history. According to records Justinian had 40,000 people slaughtered there that is one way that we know the sheer scale of the place. 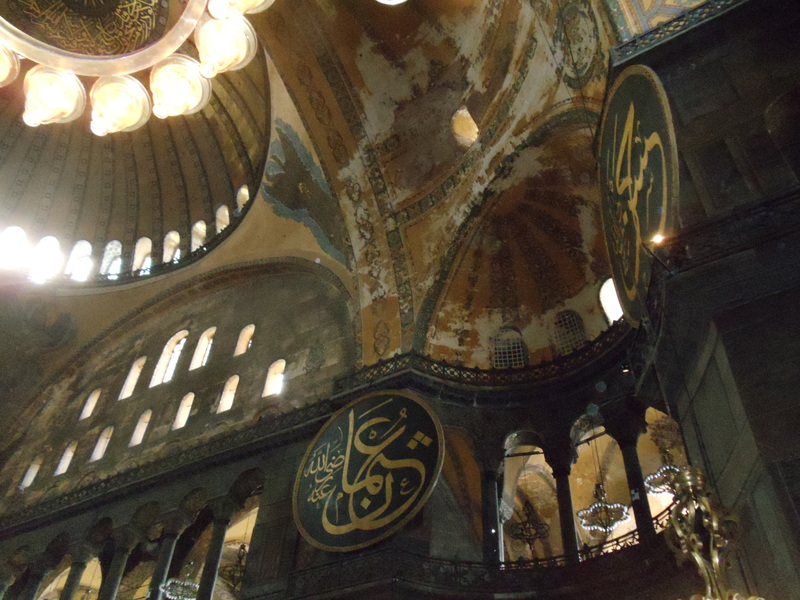 The Haghia Sophia held so many secrets and our guide let us in to many of them. Istanbul is a city with so many stories that it would take years to hear them all but there would never be a dull moment. 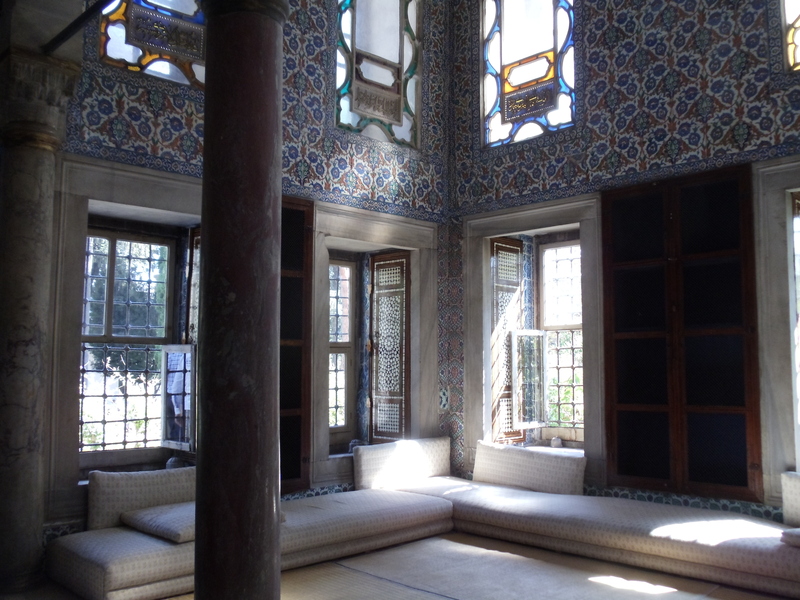 Topkapi Palace was courtyard after courtyard of passageways, stunning tile, fountains, eunchs quarters, gardens, glass, and at one time porcelain, books and silk. If one can ignore the thousands of tourists, Americans, Germans, Chinese, Japanese and Spanish, posing like smirking statues for their cameras, then one can envision how sumptuous life must have been. There were murders, intrigue, scandals galore, but then again, Western Europe in the 12th to 19th centuries wasn’t a cakewalk either. Plenty of heads on spikes in both places. While not as ornately decorated, at least in the way that Western Europeans and Americans are used to, some of the 16th century Mosques exhibit interesting architecture, colorful tiles and old traditions. Shoes off, headscarves on, the mosque feels slightly less formal than a basilica or cathedral. The niche toward Mecca, which is mostly accurate, sits slightly off center while the stairs to the Mithrab seem like a pathway to a religious throne. Shops on the first level pay for the upkeep of the mosque. A true melting pot, Istanbul still has a vibrant Jewish, Orthodox, as well as Muslim population and they by and large tolerate each other. And they tolerate their city dogs too. A campaign to limit the wild dog population has done very well. Turkey sterilizes the dogs and the Turks feed them. In a city with wildly unnerving traffic, I didn’t see one dog lying dead by the side of the road or even injured. They cross the streets in the crosswalks with the pedestrians (yes I actually saw this). Who says you can’t teach old dogs new tricks? But whether it is errant humans or cunning canines, Istanbul is a city that doesn’t yet accept, but accommodates.